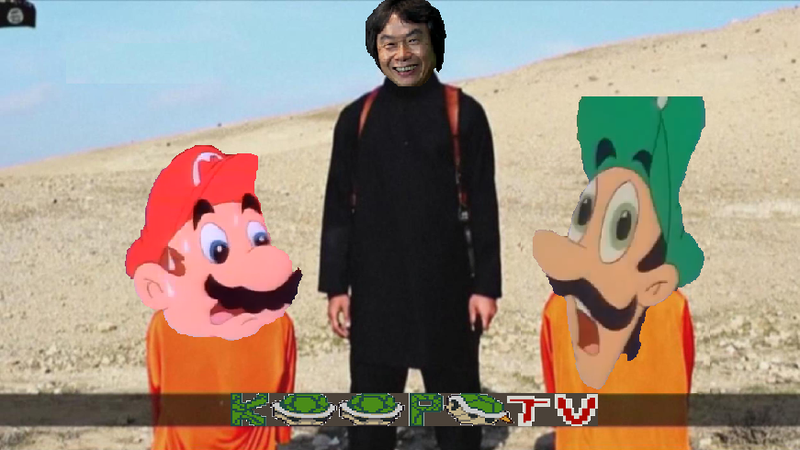 KoopaTV: Japan Vs. ISIS: Humour Versus Terrorism! By LUDWIG VON KOOPA - Alternatively, peace versus Islam. And OUR contributions to the war at the end. If you missed the casual reference of it by President Barack Hussein Obama on Tuesday, the Islamic State (otherwise known as ISIL or ISIS) has abducted two Japanese citizens, Kenji Goto and Haruna Yukawa for $200 million ransom. They had 72 hours to pay the ransom, and that passed as of today, with no money dished out. The hostages' fates are unknown as of publishing. Apparently Yukawa got kidnapped a bit ago, while Goto went to rescue him. As you can tell, that rescue mission failed. People in Japan apparently don't really care about them and think they deserve it for going to Syria, with the exception of Goto's mother who is grieving over it. 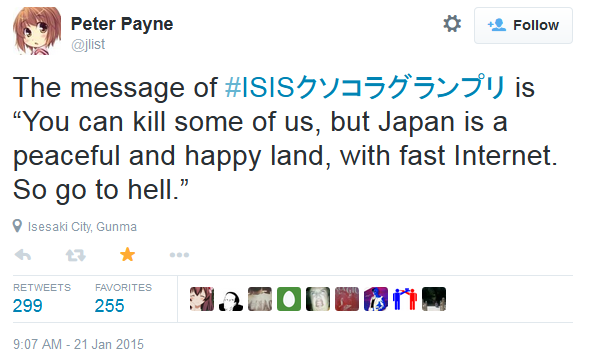 What the Japanese seem more concerned about is the fact that ISIS is now taking action against the Japanese. Apparently, they previously thought the "global war on terror" was really just a Western thing, and that ISIS's hatred for people only really manifested itself for Westerners. Nope! Radical Islamists hate EVERYONE. Without exception. They even hate other Muslims. So that's why Japan has launched a war against ISIS! It's just a war of another kind. A war of... humour? 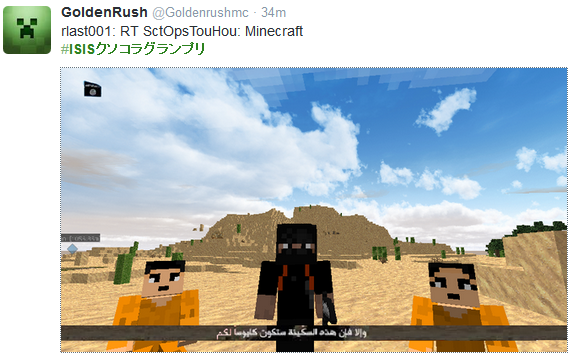 Introducing the hashtag, #ISISクソコラグランプリ! 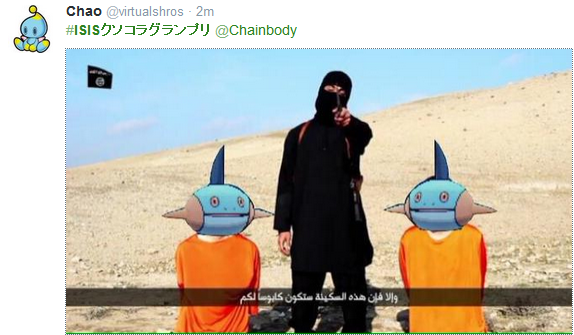 Put in English, it's basically a collection of crappy pictures mocking ISIS. This guy is doing my analysis for me. Sounds a bit less impressive than what Japan's neighbour did last time someone pissed them off, though. ...And that someone ended up being Japanese in the end, too. Basically, since Japan's government isn't really gonna do anything about getting their hostages back and ISIS hostages have a pretty crappy track record of surviving, the best the Japanese can do is to make pictures. And this is where it's particularly relevant to KoopaTV's interests. Japan lieks Mudkip, but Marshtomp? Go ahead and kill 'em. ...I don't really endorse this. So Japanese cultural icons are donning the faces of these pictures, and that includes Nintendo characters, apparently. That got us thinking... we should make one, too! Actually, we made two. Both have the same idea. By Ludwig Von Koopa. You can see what Mario is afraid of more. By RawkHawk2010. You've met with a terrible fate, haven't you? Feel free, dear readers, to give your feedback on your favourite! 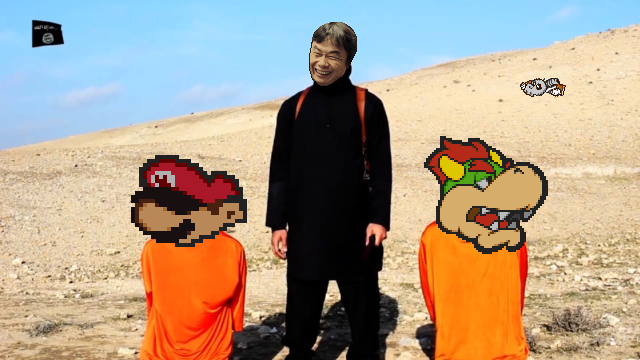 Ludwig and Rawk are competing for who made the best meme image of the ISIS dude keeping the two Japanese hostages. Hopefully, both of them are widely shared! You can help that by sharing this article! And please vote on your favourite of the two images. For more on how Shigeru Miyamoto makes characters fear for their lives, see "A Call for Memorial". This isn't the only time Japan makes strange memes from unfortunate events! Meet Nin Godzilla!